Home Instead Senior Care’s Chief Executive has backed an open letter from the United Kingdom Home Care Association (UKHCA) to the Chancellor of the Exchequer. 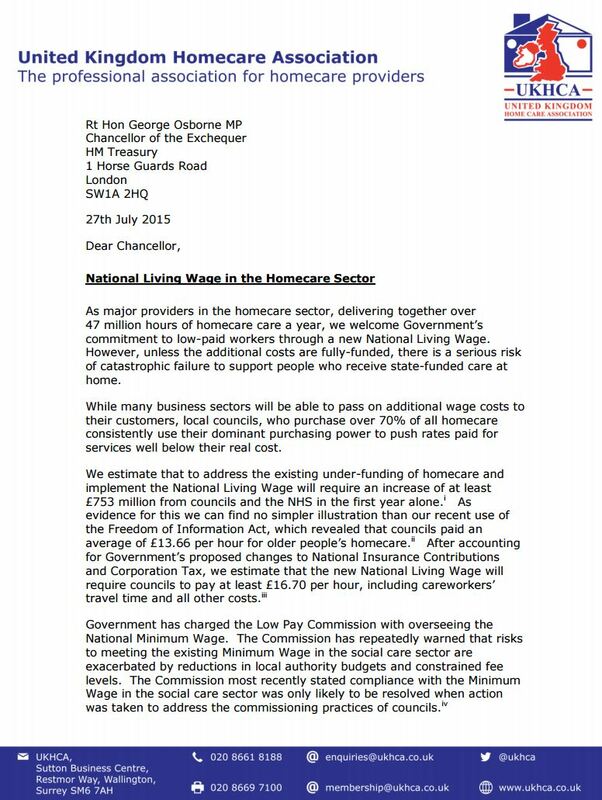 The crisis correspondence highlights a catastrophic failure of home-based care services on the horizon - without funding from the Government for the additional costs of the new National Living Wage. 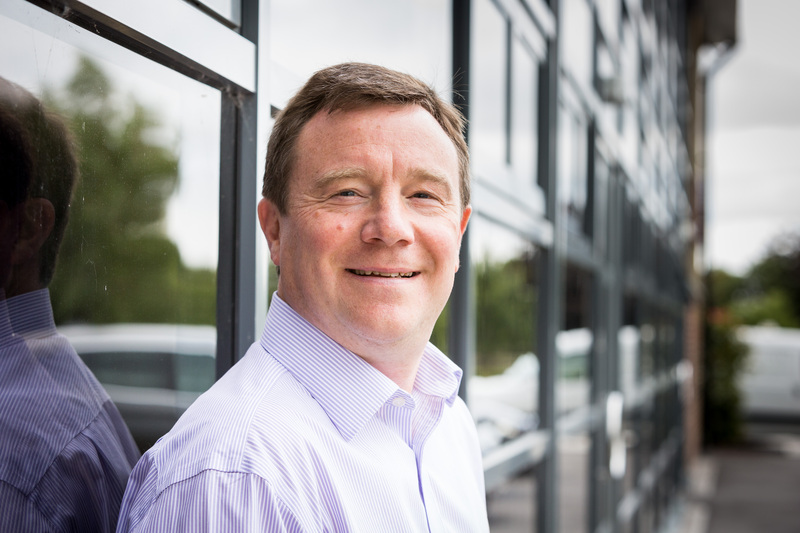 Our CEO Trevor Brocklebank is a signatory on the letter - signed and supported by over 20 chief executives and managing directors from home care providers across the country. The signatory list includes providers who supply state funded social care working with councils across the country and others, like Home Instead Senior Care, whose clients pay privately or use a direct payment from their local authority to fund their home care. 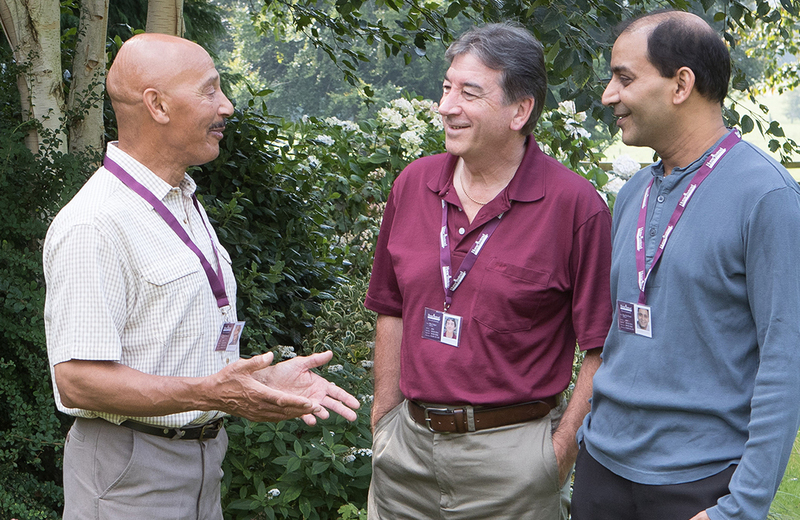 Together, the UK home care sector helps keep over 883,000 people out of care homes and living independent lives in the comfort and familiarity of their own home environment. Makes it clear that unless councils and other commissioners meet the additional costs of introducing the National Living Wage fully from April 2016 – there is a serious risk of catastrophic failure to support people who receive state funded care at home. Includes detail on UKHCA estimates that to address existing under-funding of home care and implement the National Living Wage it will require an increase of at least £753 million from councils and the NHS in the first year alone. Features UKHCA research published in March 2015 which revealed councils paid an average of £13.66 per hour for older people’s home care compared to an estimated required rate of £16.70 to meet at least the new National Living Wage rate. Trevor commented: “This is about protecting the right for older and vulnerable people to have dignified home care, commissioned at a real cost, provided by workers who are properly recognised and remunerated with the National Living Wage, which will make careers in care an attractive proposition instead of a make do job. “What will the future of home care look like if providers are faced with a financially untenable position? It will be a stark dawn for our ageing population. Looking to a future facing care landscape, Trevor added:“The Government needs to hear the home care sector’s collaborative voice ahead of the Comprehensive Spending Review in the autumn. It needs to stop focusing on ring-fencing the NHS as if it works in insolation. 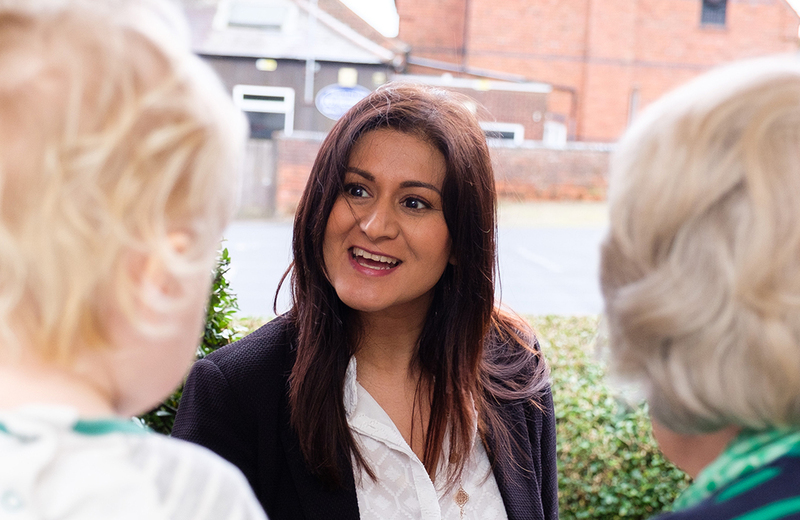 “The Government needs to recognise that quality home care not only improves the quality of life for hundreds of thousands of people, it can also deliver significant savings in both reducing admissions and readmissions to hospital and allowing patients to be discharged earlier.